If it’s good enough for Google, right? The Objectives and Key Results (OKR) management framework popularised by Google has gained enormous traction in recent years. 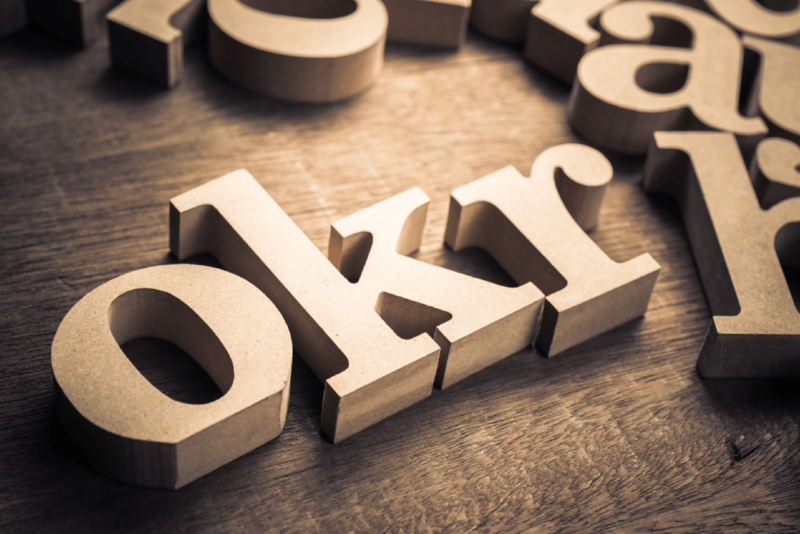 But what does the OKR approach involve? In this article, I’ll give a very quick overview of the OKR process, followed by plenty of practical OKR examples. I’ve written in depth about OKRs, so I’ll give just a very brief summary of the framework here. The OKR framework is a process for setting goals. It’s broken down into two parts: your Objective (what you want to achieve) and your Key Results (what success looks like). So, each goal has an O, supported by related KRs. In other words, OKRs give organisations a means to set a goal then define how they’ll get there. That, in a nutshell, is pretty much it. OKRs work at all levels of a business, meaning you can have company-wide OKRs, team or department OKRs, and individual employee OKRs. Ideally, the company-wide OKRs will inform the team OKRs, which, in turn, will inform the individual OKRs. This fosters a sense of everyone in the business working towards common goals. - Increase revenue by 15% in FY2019. - Reach monthly revenue of £150,000. - Number of online sales increased by 25% by end of Q4. - Two new stores opened per quarter. - Grow brand awareness by achieving record marketing metrics in FY2019. - Mailing list subscribers grown to 50,000. - Website visitors grown to 100,000. - Instagram followers grown to 70,000. - Implement a weekly email update for subscribers. - Content strategy finalised by end of January. - Number of subscribers grown by 20% per month, reaching 50,000 by year end. - Email open rate of 20%. - Click rate of 3%. Hopefully, the above examples have given you a solid idea of how OKRs work. Now let’s look at some sample OKRs across a range of different business functions. KR: Employee Net Promoter score increased from 6 to 8. KR: Absenteeism reduced by 25%. KR: Number of signups for wellness programme increased by 40%. O: Improve accuracy of annual sales forecasting process. KR: Train line managers in BI reporting tool by end of July. KR: Half-day planning sessions conducted with each department head by end of October. KR: All forecasts completed by end of November. O: Improve understanding of customer behaviours. KR: Survey 100 customers on what influences their buying decisions. O: Improve sales lead process. KR: 4,000 calls per salesperson per quarter. KR: 90% of enquiries followed up within 24 hours. KR: Create scripted questions to capture sales lead data more accurately. O: Improve customer experience of contacting us. KR: Call wait times reduced to under 1 minute. KR: All non-urgent complaints resolved within 24 hours. KR: Urgent complaints resolved within 90 minutes. O: Create a product that delights our customers. KR: Build user testing into design phase. KR: Net Promoter Score increased from 6 to 8.